I make pizzas in two, three different ways , following different methods or even playing with ingredients . 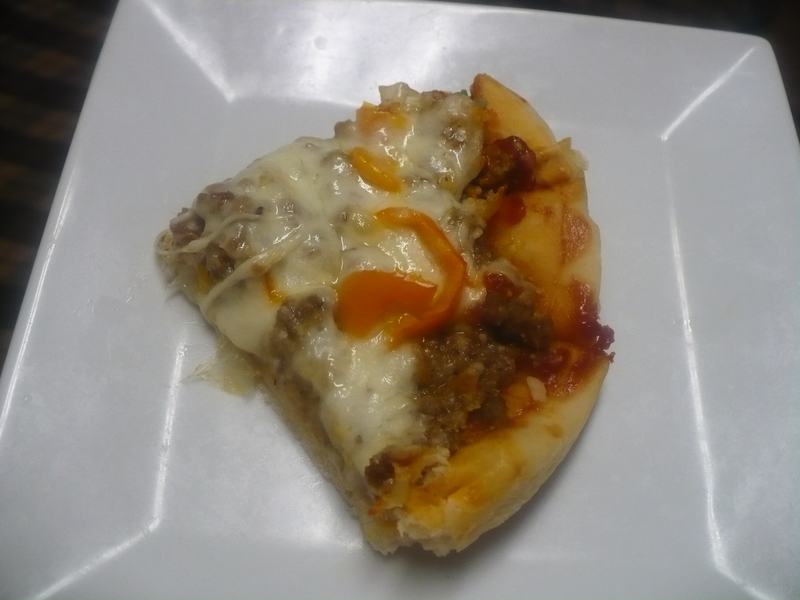 The Pizza recipe I’m sharing today is kind of deep dish style pizza . The bread tends to be softer and thicker unlike thin crust pizzas . This is because of only one ingredient and that is EGG !!!!!!!!!! 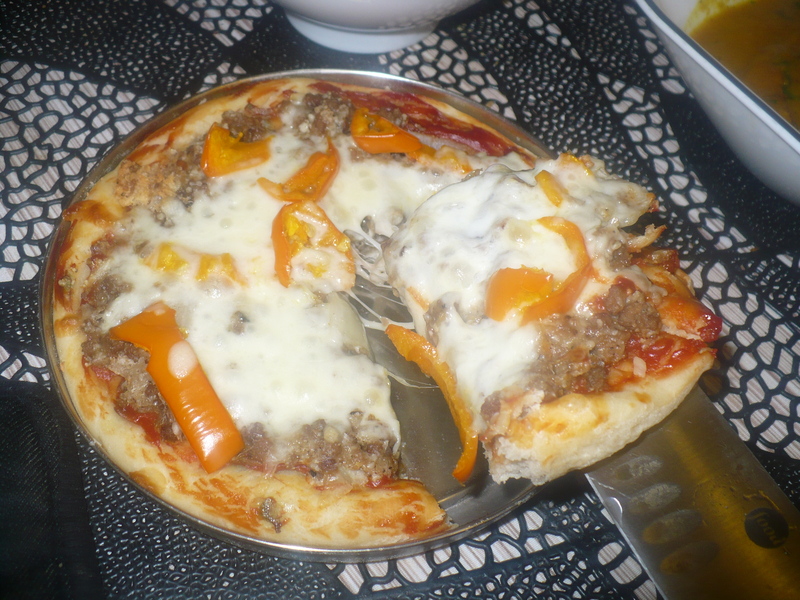 If you like thin crust crispy style pizza, omit egg but if you are fond of soft , thick bread for pizza base, use the egg . The reason behind I make pizzas in different ways just because though my husband and daughter both love pizzas, but the type of pizzas they love are not always the same !!!!!!! 1. For pizza dough mix all the ingredients except oil . Be careful while adding luke warm water. If you use too hot water the yeast might get killed , and if you use room temperature or cold water, the yeast won’t wake up !!!!!! In both case the dough will not rise and everything will go in vain . So always use luke warm water in any recipe where you have yeast as an ingredient. 2. Knead well . The dough will be very sticky . Now add the oil and form the dough into a round ball . Now it’s easier to work with the dough. Put the dough into a closed lid box and place it in a warm place . It may take an hour or more to get the dough double in volume . If it becomes fluffy and double in volume , the dough is ready to make the pizza. 3.. Divide the dough into two balls. For this recipe I roll out the pizza bread . But in other recipes I often stretch the dough ,using my hand,into a flat bread . Now working with one ball at a time , apply some flour on your hand and flatten the ball into a disk using your hand . Now on a lightly flour dusted surface roll out the disk into a bread , 1/2( half inch) thick. Don’t use any extra flour . 4. Rub the surface of the bread with grated garlic. Rub with tomato sauce . Add the topping of your choice . Add tomato , capsicum and cheese. Sprinkle oregano , if you want. 5. Bake in a pre heated oven on 400 FH for 15-20 minutes or until done . This entry was posted in Glossary / Notes, Snacks and Lighter Fare and tagged homemade easy pizza, Pizza. Bookmark the permalink.